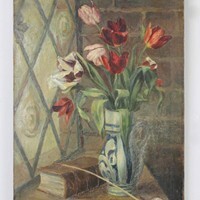 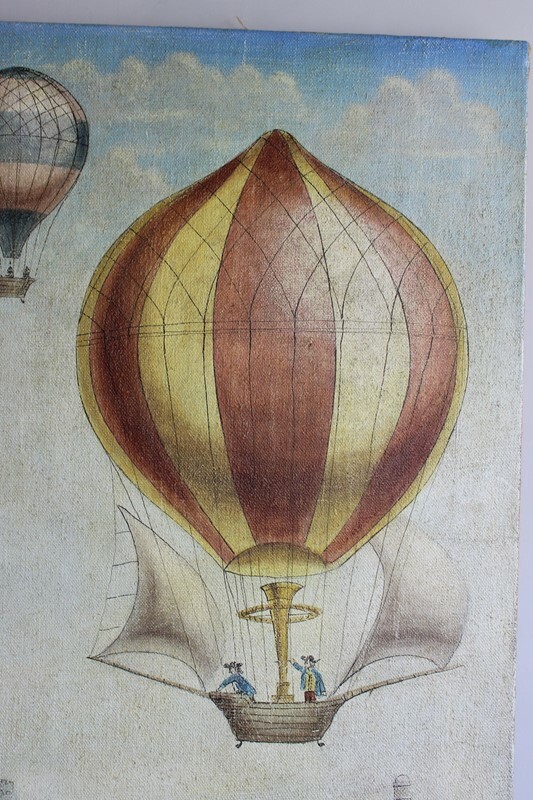 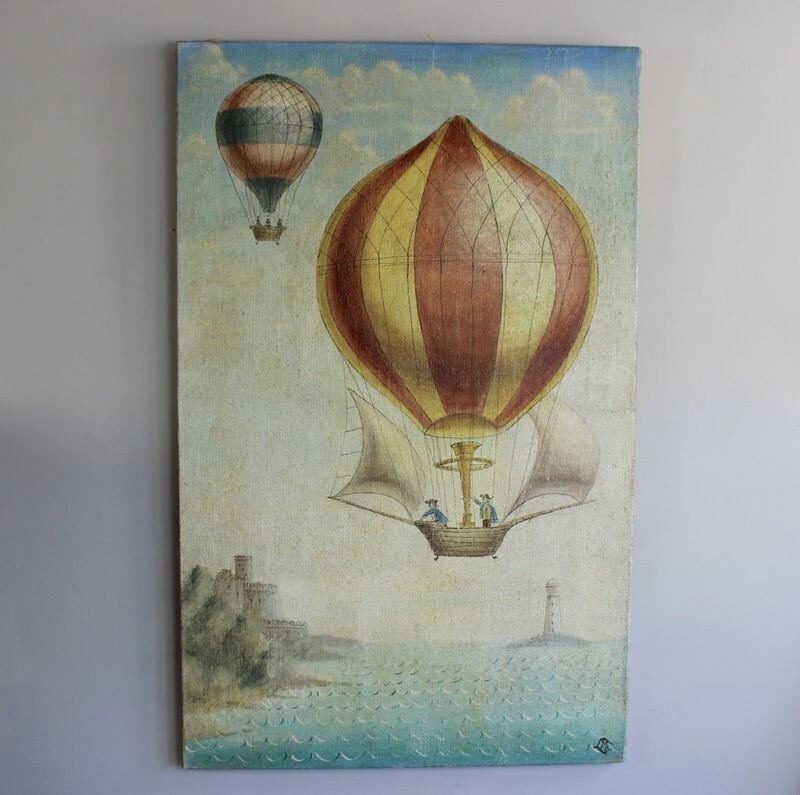 A whimsical acrylic on hessian on stretchers of a 19th century balloon ride, we also have two others in this series which are larger ( please ask ). 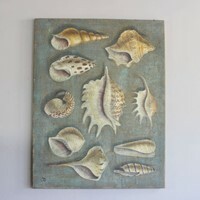 Perfect for a bar, restaurant or holiday home, or just to enjoy at home. 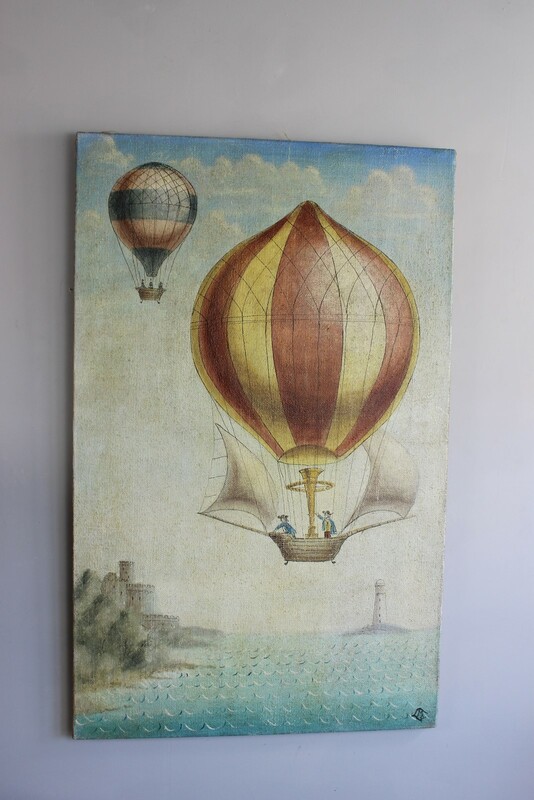 these paintings were part of a stage set back drop and were painted around 12 yrs ago for a stage production , we acquired them and stretched them on frames .